The InterDesign 11-Liter Bathroom Trash Can almost disappears before your very eyes due to its translucent frost design. Constructed out of durable impact resistant plastic, the trash can has an extra wide rectangular opening and then tapers to a narrow footprint to take up less space on your bathroom floor. Only have a small bit of space between your toilet and your sink? Not to worry! The Umbra Skinny Polypropylene Waste Can will fit easily into even the tightest of spaces due to its ultra slim width. 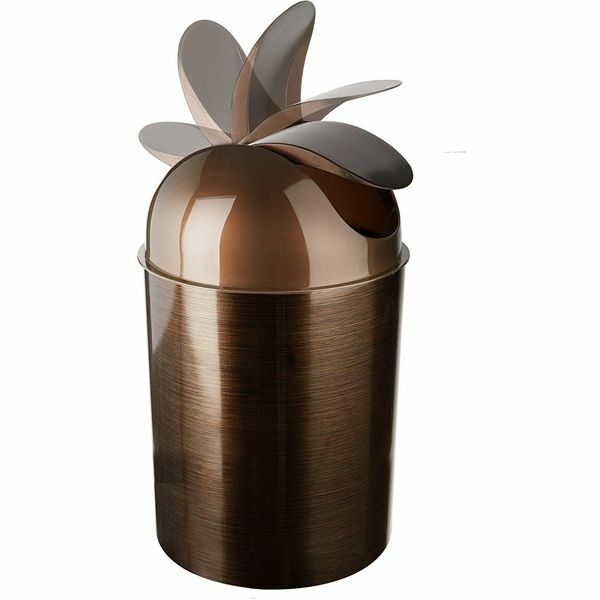 Despite the compact size of the bronze trash can, it still can hold 7.5 Liters of waste! Keep trash hidden from sight and your bathroom looking modern and sleek with the simplehuman Mini Round Step Trash Can. 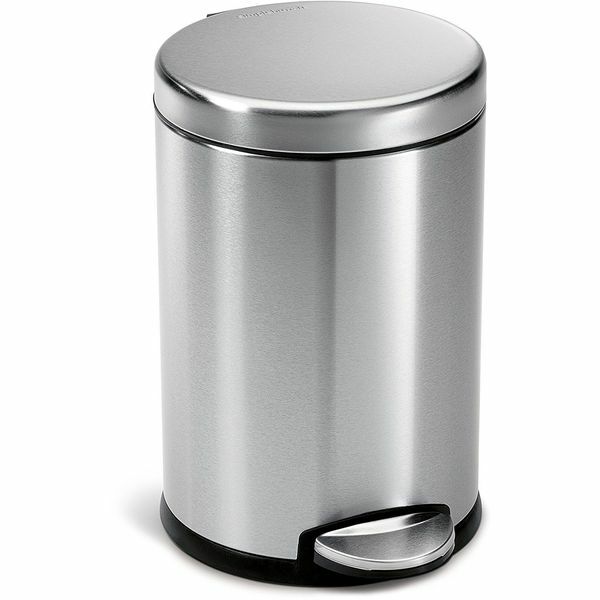 Made out of heavy duty stainless steel, the 4.5-liter trash can has a fingerprint-proof finish that allows it to easily retain its gleaming look. The sturdy steel pedal makes lifting the lid quick and simple. 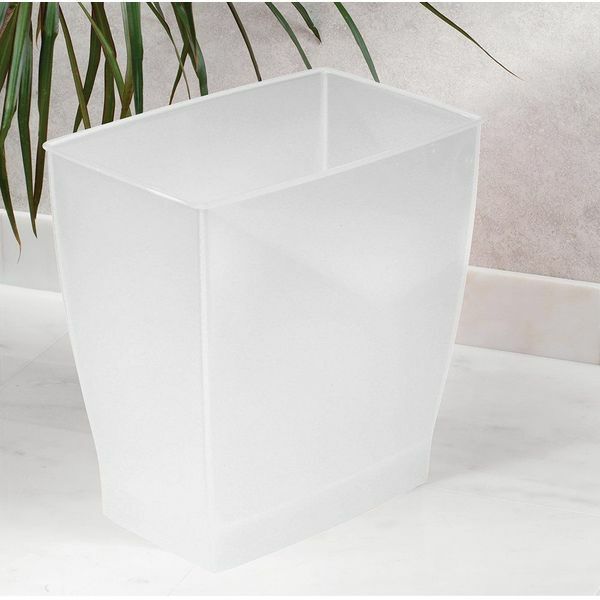 Bring a little bit of nature into your bathroom decor with the Umbra Treela Waste Bin! 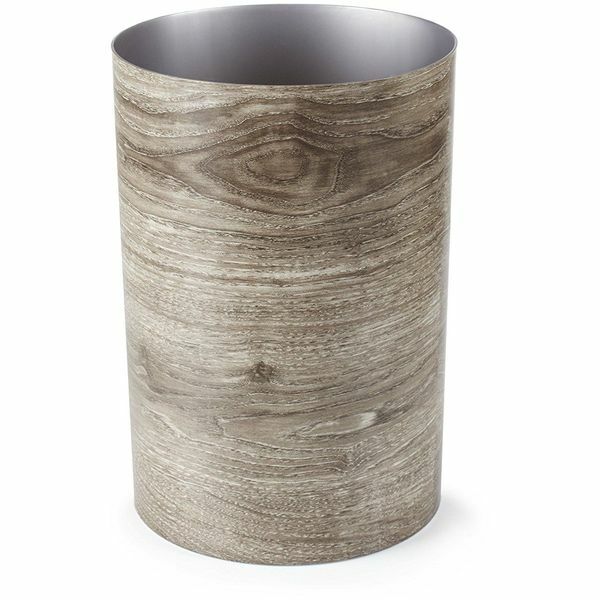 Although this 4-1/2-gallon trash can is colored to resemble natural wood, it’s actually made out of biodegradable polypropylene, so it’s much more sustainable. The trash can is sure to have guests doing a double take, as it looks just like a tree trunk! 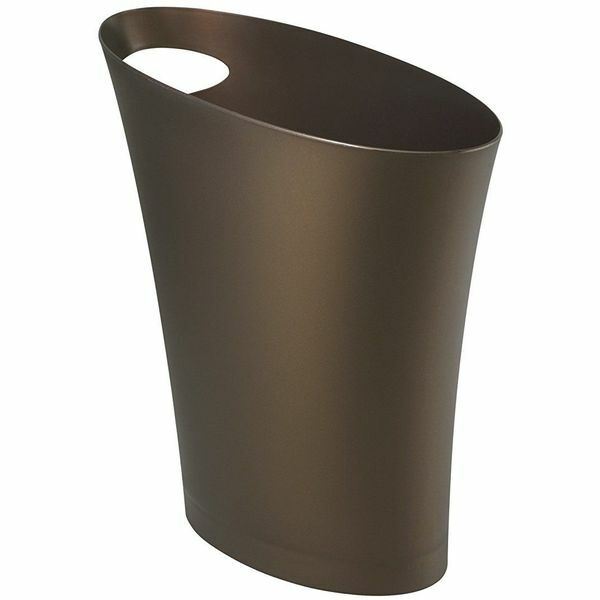 The Umbra Mezzo Trash Can helps to keep the bathroom looking tidy and will enhance your decor with its rich lustrous bronze finish. With a 2.5 gallon capacity, the trash can won’t get full quickly, but when it does come time to empty it, you can quickly lift off the swing top lid to get the job done. 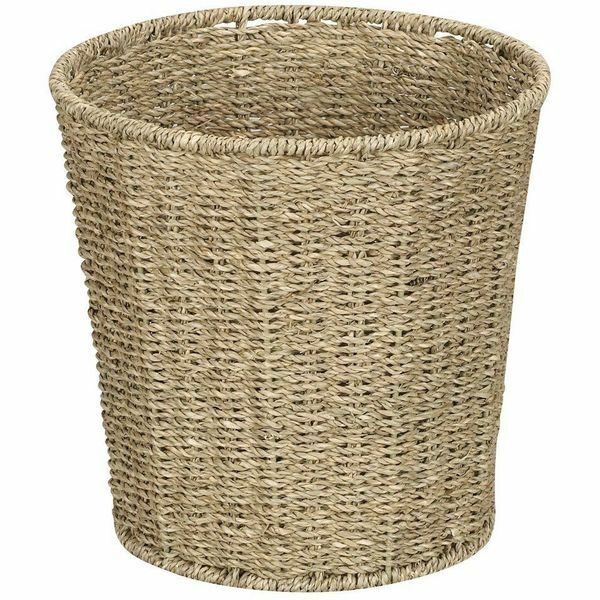 The Household Essentials Woven Seagrass Waste Bin is perfect for adding to any beach themed bathroom, as its seagrass weave brings to mind the shoreline! The natural colored grass is woven around a wire frame to make the round open waste bin as sturdy as possible. The can is 10 inches high by 10 inches in diameter.